But here’s the deal. I ALWAYS believe in reviewing authentically and not based on the fact that I was given something for free. I pretend that I paid for it or I’m deciding on whether I would be buying more. 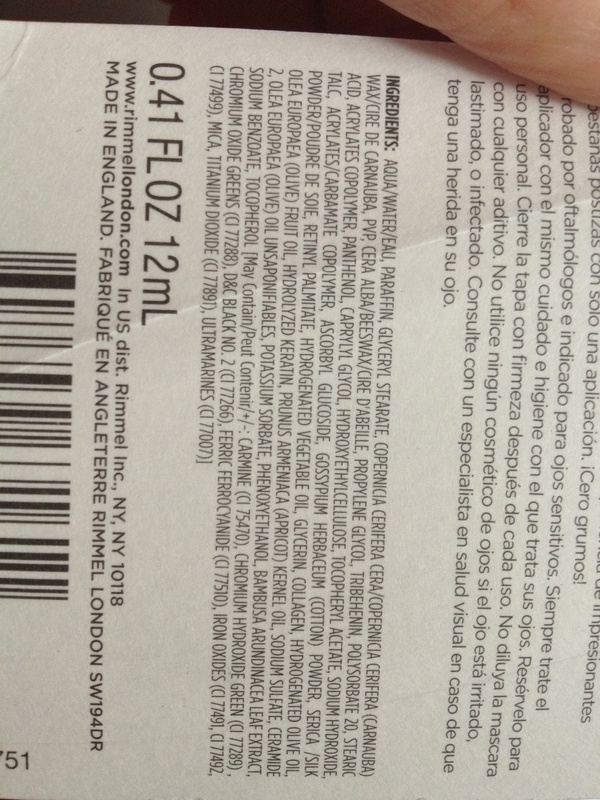 In some cases it will be reviewing ingredients to determine if I even want that on my skin or in my body. If you read this blog regularly, you also already know that I tend to check ingredients A LOT. 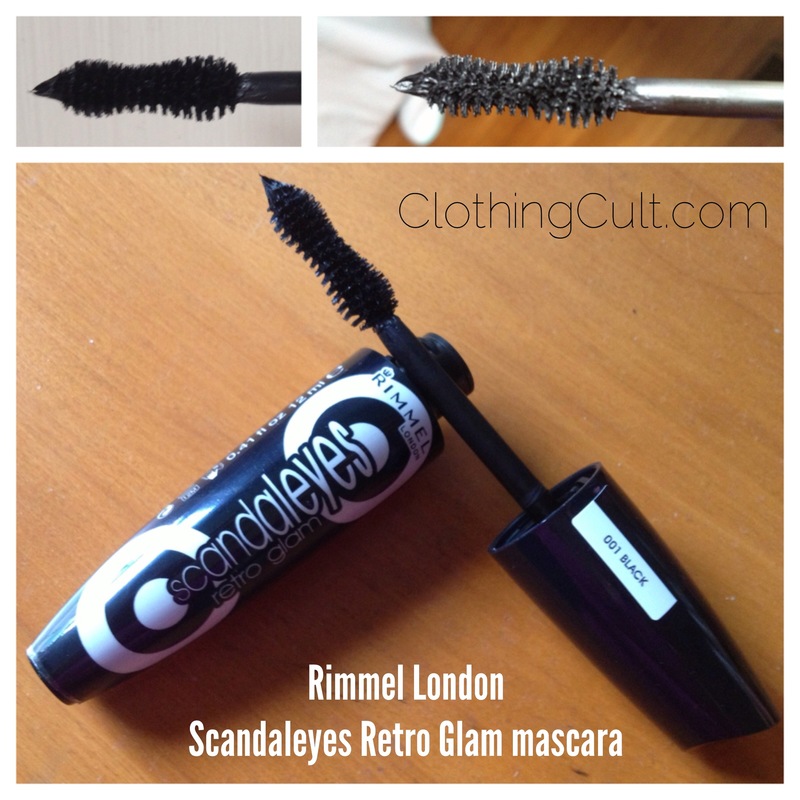 Rimmel London Scandaleyes Retro Glam Mascara (MSRP $5.99) Well first things first…. what they sent me is not waterproof and you know that what I wear daily is waterproof. It’s the one and only product that I sacrifice the healthy quest on for the tradeoff of being waterproof. 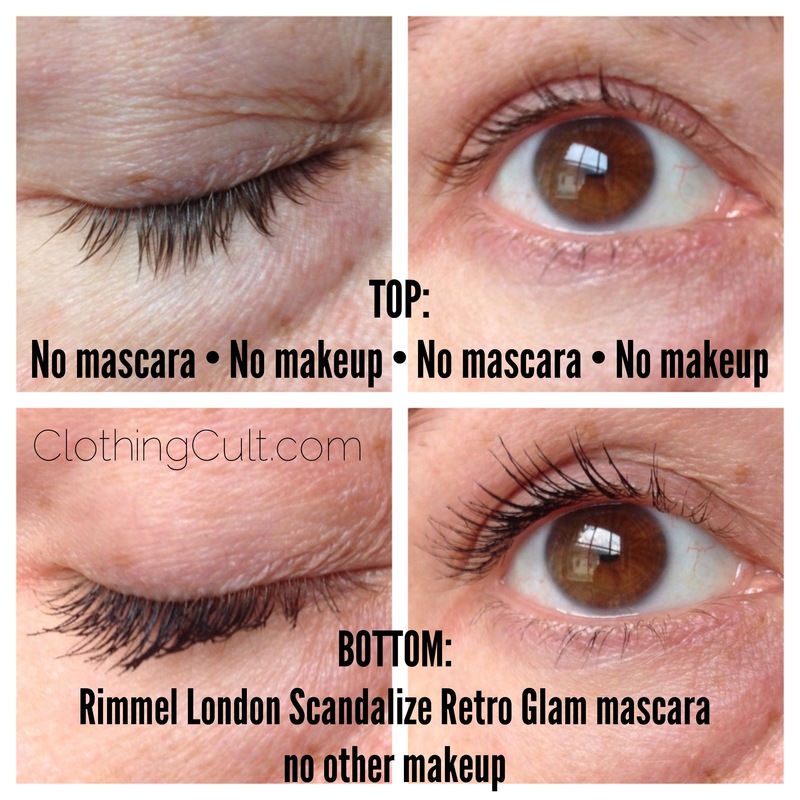 And they do not appear to make the “Glam Retro” in a waterproof mascara. They do have a “Scandaleyes Waterproof” but the brush shape is different and brush shape is VERY important with a mascara. I’m fairly certain that the ingredients for this mascara are the same as several of their other mascaras. A custom report with the cosmetic database gives this a 5. For mascara that isn’t waterproof that’s a bit on the high and unhealthy side here. So since it’s raining out and this isn’t waterproof mascara, I’ll just be reviewing this on the brush and initial application. It’s ok but I’m not wowed. 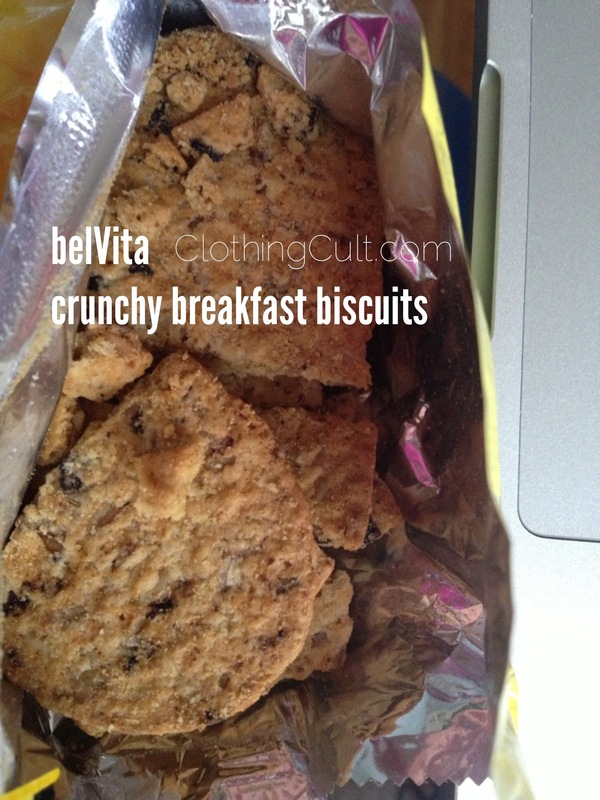 belVita crunchy Breakfast Biscuits (MSRP $3.69 for a box of 5 packats of 4 biscuits) These are pretend healthy. Ok fine, they’ve tried here: B-vitamins, and whole grains and No HFCS and 230 calories. They are better than what most Americans call breakfast. But to me this is still a horrible breakfast choice. Personally I need some proteins and fats to start my day right. This is mostly grains and sugars. I also just don’t eat a lot of grains that aren’t accompanied by meat or eggs anymore. Proteins and fats to help even out my starches / grains. Some of this may be a bit of me personally so if you are looking something to replace cereal with, this is going to be SO much better than that. It is crumbly or at least the one I received was so I’m not sure that this is a “eat while driving” food. I received the blueberry and it does smell intensely of blueberry and the flavor is a bit like blueberry muffin meets a cookie. Tasty sure … will I be buying these anytime soon personally? No. Kiss Gradation Polishes (MSRP $6.99) I think this is 3-free. I had three different polishes to read the ingredients on since this doesn’t note that it’s 3-free on their website or anywhere. Three free means no: dibutyl phthalate, toluene, or formaldehyde. I received “Film Noir” though my base polish is more a silver than a white as shown on their site and in other pictures. Just in case the product number on my box is 58085 MGE01. This reminds me of the reverse of my nails that I did last year for halloween. I followed their instructions and applied step 3 polish before step 2 polish was dry and ended up with a smudged nail that wasn’t a gradient. I’ll try again when I have more time and not follow the directions as exactly. Tip: be sure to get all of the nail polishes out of the package’s plastic tray before you start – if you’re doing all of your nails you might smudge the first coat trying to get to the rest out. For $7, if you like all of the colors, this is still a decent deal on nail polishes. Lindt LINDOR Milk Chocolate Truffles ok it’s Lindt and it’s chocolate. I know it’s not super healthy but also not super bad. I’m not going to scrutinize the ingredients on this one (though I prefer dark chocolate over milk chocolate.) Ate it first thing. It was tasty. That is all. Vitabath Hydrating Lotion IN BLOOM™ Asian Orchid & Coconut (MSRP $7.99) – We are off to a good start because it’s free from parabens, propylene glycol, phthalates, sulfates, mineral oil, and synthetic color. BUT then we kinda fail miserably on the overwhelming synthetic fragrance. Overall looks like healthy ingredients and when I have some time I’ll type them all up (couldn’t find the ingredient list pre-typed online) and run a cosmetic database report. Even if I’m wrong on the scent being synthetic (not likely) it the scent was still overwhelming for me. I put the lotion on one arm and immediately went to wash it off. … and it still smells like I have it on. And it’s not even that pleasant – there are some synthetic scents that are still nice smelling, but to me this smells like cheap cologne. Keep in mind that I’ve switched to all natural scents (no not hippie scents like patchouli, I dislike that too even though it’s tolerable and doesn’t give me a headache) and I even use unscented laundry detergent. Now that I’ve showered, I have to note that I can still smell it!!! I scrubbed down my arms and I used multiple kinds of soaps! I even used some harsh soap I keep on hand for when the natural stuff isn’t cutting it and I can still smell it – ugh!!!!!! I even slathered my arms in coconut oil in case it was an issue with the scent needing an oil solvent and scrubbed down with soap again – that helped the most but I can STILL smell it!! What a MISTAKE!!! Ugh. Do NOT I repeat DO NOT apply this to yourself if you do not like the scent!!!! Hours later and I’m still regretting that I put this on my arms simply because of the scent. Headache. This scent = epic fail. Honestly for the time investment I’m not entirely sure I want to participate in future Influenster boxes. While it was fun to get a big box of stuff to try, it’s mostly cheaper drugstore items. And while it’s nice that they are accessible at the drugstore, I’ve seen most of these products there and not been wowed enough to actually buy them before (LINDOR truffles excluded … I have bought those before and will buy them again.) I DO still shop at the drugstore some (have you noticed the number of $2 Sinful Color nail polishes I have reviewed?) 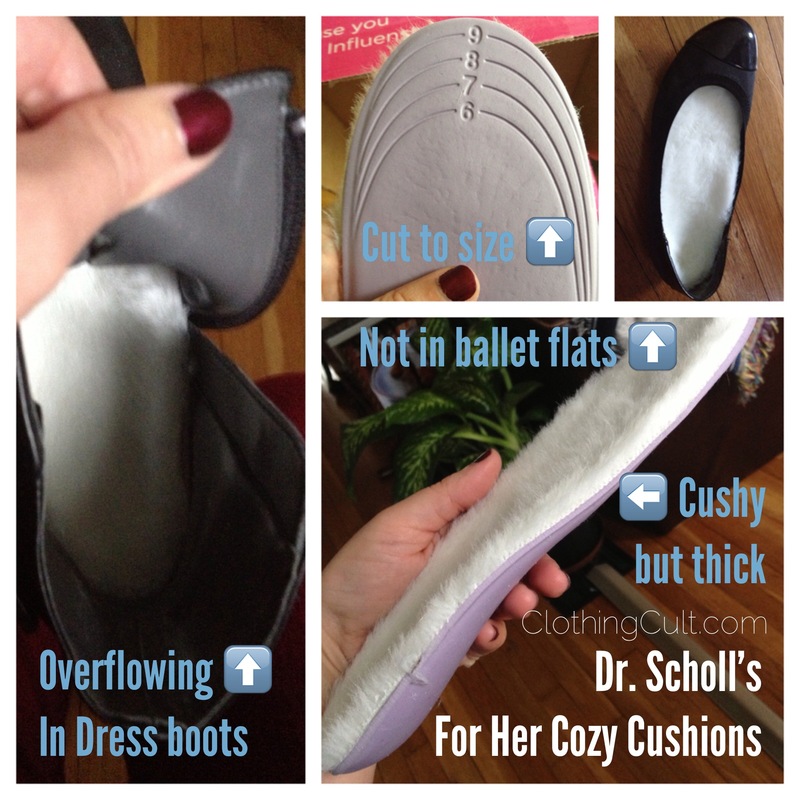 but I have moved into healthier higher quality products and that has, in general, reduced my drugstore shopping. I’m also not sure how many of these tasks (below) I would have to do in order to be invited back. And since I’m not ok with promoting products I don’t exactly like without a review, I’m hesitant to do some of these tasks. Great from a marketing standpoint for these companies because people are being prompted positively, not so great for someone who wasn’t wowed by the products in the box. I would have done a vine or youtube unboxing video if I had known about the PRIOR to getting the box in the mail. 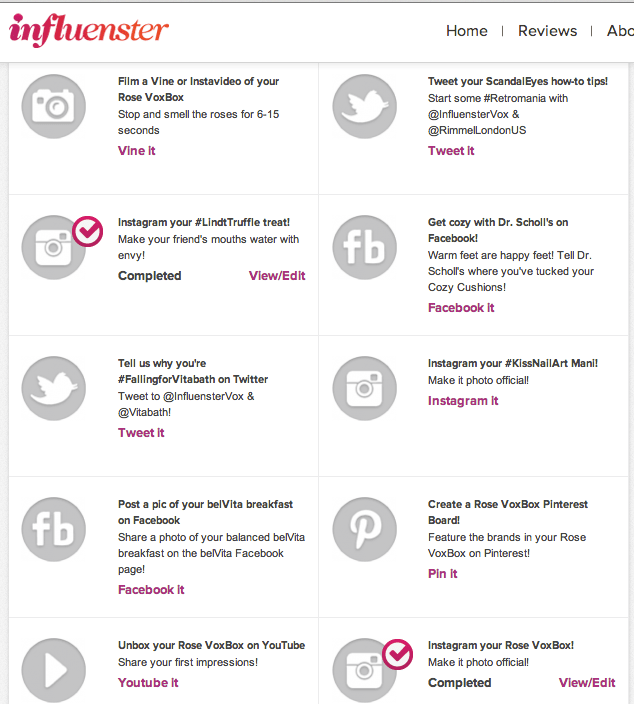 I had already opened a lot of it by the time I realized those were actual Influenster tasks (maybe I should have known.) I may still go back and to a post-unboxing video and submit that.